Photo: Bartholomew J. Donnelly House, ca. 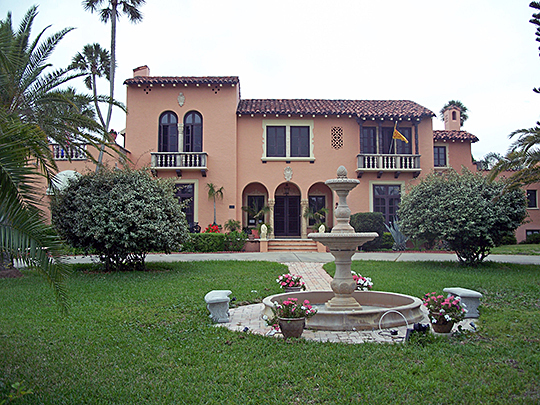 1929, 801 North Peninsula Drive, Daytona Beach, FL. Listed on the National Register of Historic Places in 1993. Photographed by User:Ebyabe (own work), 2010, [cc-by-3.0 (creativecommons.org/licenses/by/3.0)], via Wikimedia Commons, accessed June, 2012. Volusia County administrative offices are located at 123 West Indiana Avenue, De Land FL 32720; phone: 386-736-5920.